Compared to the other Megacorporations, the history of Cybertronic is extremely short. However, in the 160 years since they reached Megacorporation status they have had a huge impact on the solar system. The Megacorporation had its beginnings in a relatively unknown company called Cybertronic Investments Inc., with a dubious reputation for developing technology in violation of Brotherhood directives. In the year 1103 Y.C. they orchestrated a colossal 'ghost collapse' of the stock exchange on Luna. Billions of valuable shares were unwisely sold only to be bought up by supporters of Cybertronic who suddenly emerged from within all of the Megacorporations. The company's assets soared rapidly and almost overnight a new Megacorporation was born. As the Cybertronic farms continue to deliver citizens at a rate that no other corporation can match, the ranks of their military are swelling in step. Many are the roles that one might fulfill for the Megacorporation but none yield the esteem or the potential rewards of serving in the armed forces.Contrary to what most Cybertronic citizens believe, their soldiers do not always go into battle supported by the finest military hardware to be found in the solar system. 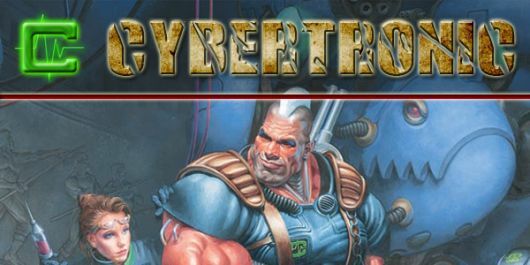 It is true that the best that Cybertronic has to offer really is the best there is. However, Cybertronic's resources and their confidence in their superiority are not as limitless, nor as certain as they would have their citizens believe. As a consequence of this the majority of their troops are sent into battle with equipment that is decidedly average in quality and effectiveness.